We’d love your help. Let us know what’s wrong with this preview of The Lion by Sheritta Bitikofer. Belle Clearwater’s prayers had been answered, but there was still so much left to discover. Now determined to reject her mental illness, she’s decided to be brave and not let her anxiety disorder take her away from what matters. With the help of her friends and her faith, she’s sure that she can finally have her life back. Something greater is stirring in her heart and the Belle Clearwater’s prayers had been answered, but there was still so much left to discover. Now determined to reject her mental illness, she’s decided to be brave and not let her anxiety disorder take her away from what matters. With the help of her friends and her faith, she’s sure that she can finally have her life back. Something greater is stirring in her heart and the man that had served as her solid ground might just send her world off kilter again. All it takes is one moment of honesty. 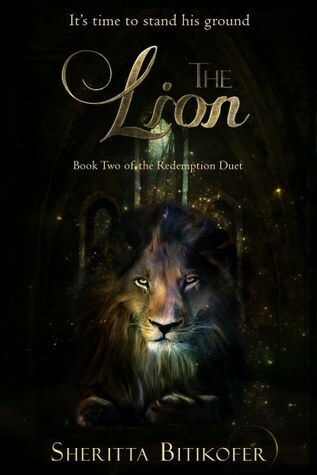 To ask other readers questions about The Lion, please sign up. A powerful followup to The Rose, I might have enjoyed this one slightly more than the first, if that's possible! Belle and Leo have just started their journey when the first one ends, and this one picks up that story. The Darkness is closing in, and Leo (with Belle) have to find a way to confront it once and for all. Full of emotion and beautiful story-telling, this isn't a story that can be easily matched or forgotten! Sheritta Bitikofer is an author of sweet paranormal romances and eclectic tastes with a passion for storytelling. Her goal with each book is to rebel against shallow intimacy and inspire courage through the power of love and soulful passion. Her biggest thrill comes when she presents love in a genuine light, where the protagonists not only feel a physical attraction to one another, but a deep emot Sheritta Bitikofer is an author of sweet paranormal romances and eclectic tastes with a passion for storytelling. Her goal with each book is to rebel against shallow intimacy and inspire courage through the power of love and soulful passion. Her biggest thrill comes when she presents love in a genuine light, where the protagonists not only feel a physical attraction to one another, but a deep emotional (and dare we say spiritual?) connection that fuels their relationship forward into something that will endure much longer than the last pages of their novel. A devoted wife and fur-mama to two shelter rescue dogs, Sheritta’s life is never dull. When she’s not writing her next novel, she can be found binge-watching her favorite shows on Netflix, doing Zumba with her friends, or painting at a medieval reenactment event.